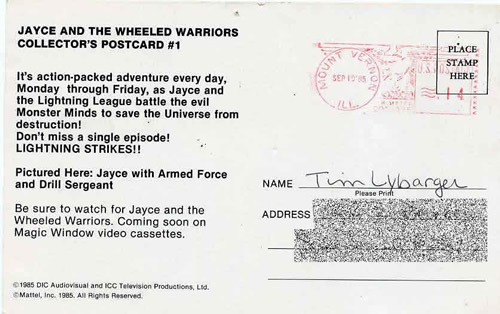 Not to ride the coat tails of Branded in the 80's yet again, but with the recent posts about Jayce and the Wheeled Warriors, I thought this would be the perfect time to share this postcard from September of 1985. Nine years old at the time, I got this in the mail from a local television station. Shawn -- I think I signed up for that mailing list at a local home show. Among all of the home improvement displays, the local TV station had a booth as well. 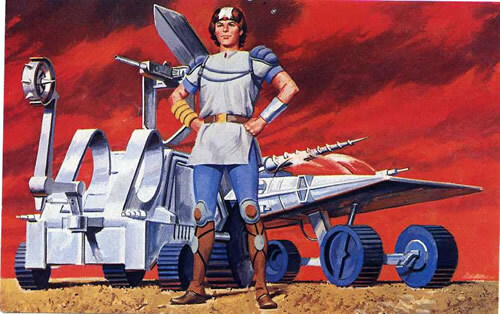 So while my parents were looking at new options for bathroom plumbing (or whatever it is that parents look at when they go to a home show), my brother and I were hanging out at the C13 booth where they had 8x10s from syndicated shows and cool stuff like this postcard. I had two but sold one on eBay several years ago.